HMS Olympus struck a mine off the coast of Malta as it tried to evade German and Italian warships on 8 May 1942. 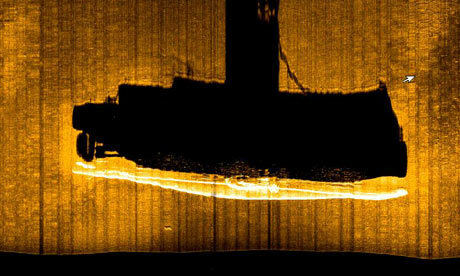 Explorers have discovered the wreck of a British submarine that sank off the coast of Malta in one of the worst naval disasters of the second world war. Nearly 90 men lost their lives when HMS Olympus struck a mine and sank as it tried to evade German and Italian warships blockading Grand Harbour in the early hours of 8 May 1942. A team of divers from a Florida-based exploration trust found the wreck while surveying the ocean floor off Malta last year. They announced their findings to the British government and the Royal Navy this week. The Commonwealth War Graves Commission is expected to now formally designate the site. "We are extremely excited by this discovery, it's a very important piece of Malta's history during the war," said Timmy Gambin, archaeological director of the Aurora Trust, a foundation set up to promote knowledge of maritime cultural history. "The Royal Navy ran a large number of operations using submarines in and out of the island for many purposes, not least as a magic carpet ferrying fuel, ammunition and food, and Olympus played an extremely important role." The trust, which has headquarters in Key Largo and a logistical base in Malta, visited the wreck, seven miles off the coast, twice last summer. During the second dive in September it sent down a remotely operated vehicle equipped with video cameras to capture images that confirmed the 80-metre-long vessel's identity. "We had suspicions it was the Olympus. Armed with our research on the features of the submarine, where the guns were, the placing and types of the rudder and propeller, we were able to identify her," Gambin said.